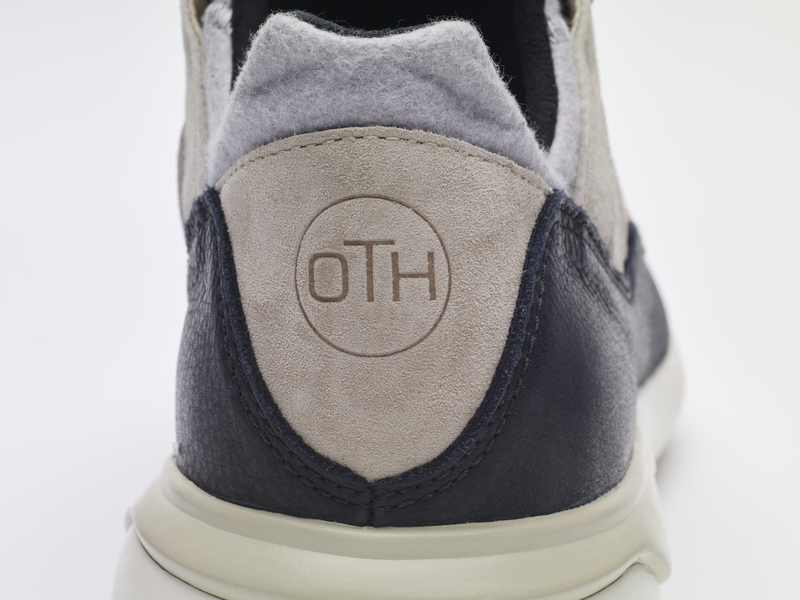 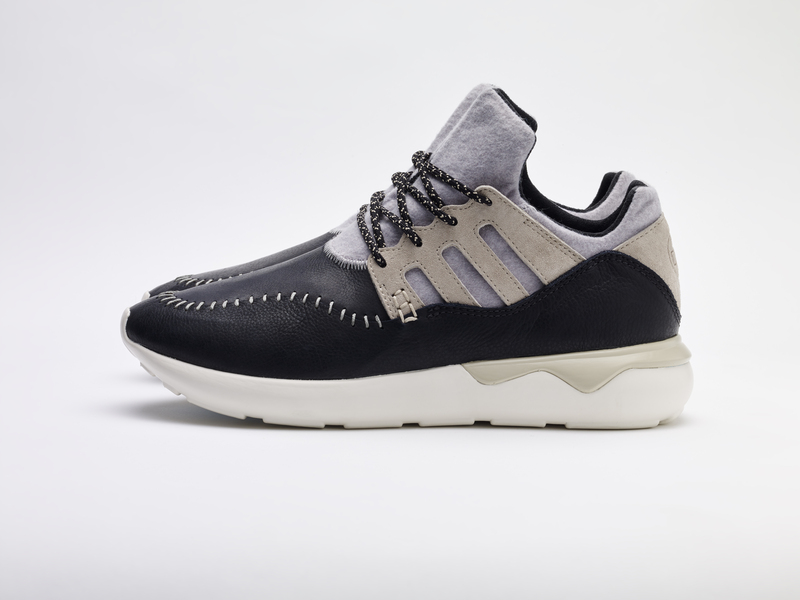 More than a year in the making, the adidas Consortium x OTH Tubular Moc Runner will finally be within our grasps. 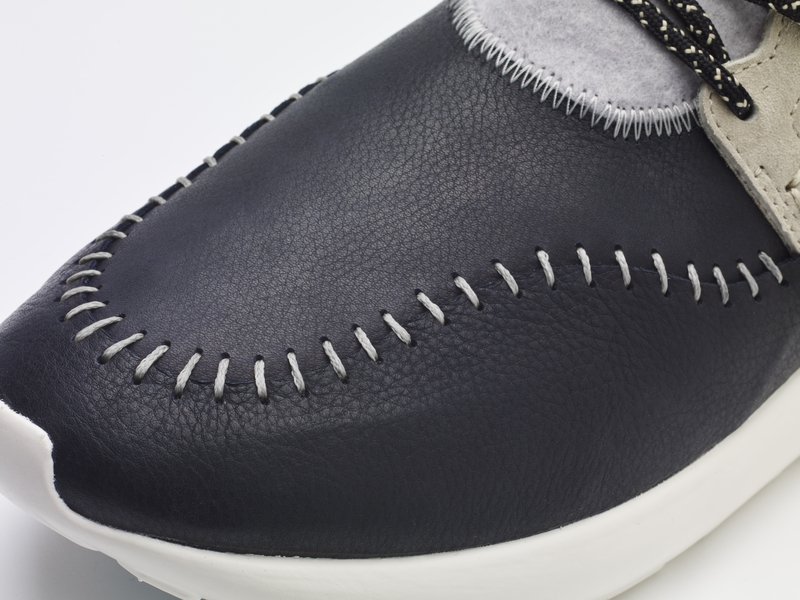 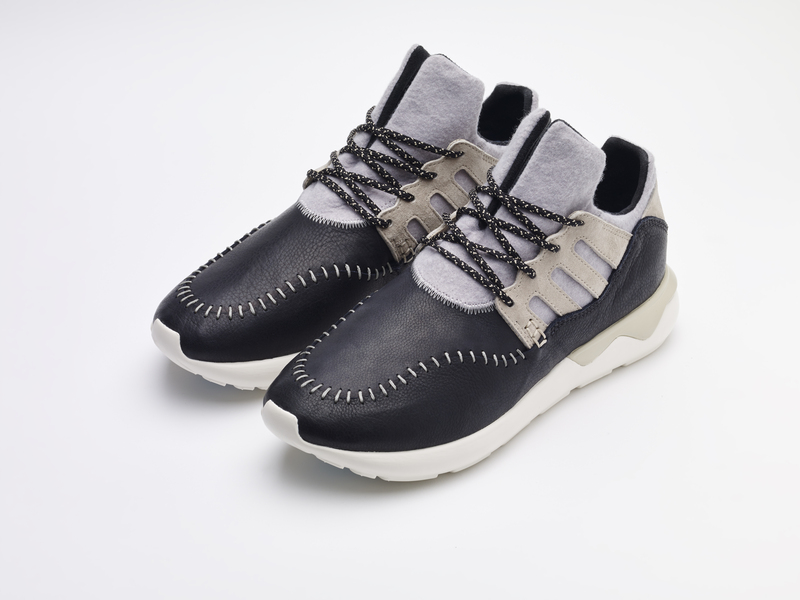 Inspired by the Voyageurs of French Canadian heritage this Tubular Moc comes in a dark leather, layered wool upper, and surprising split tongue. 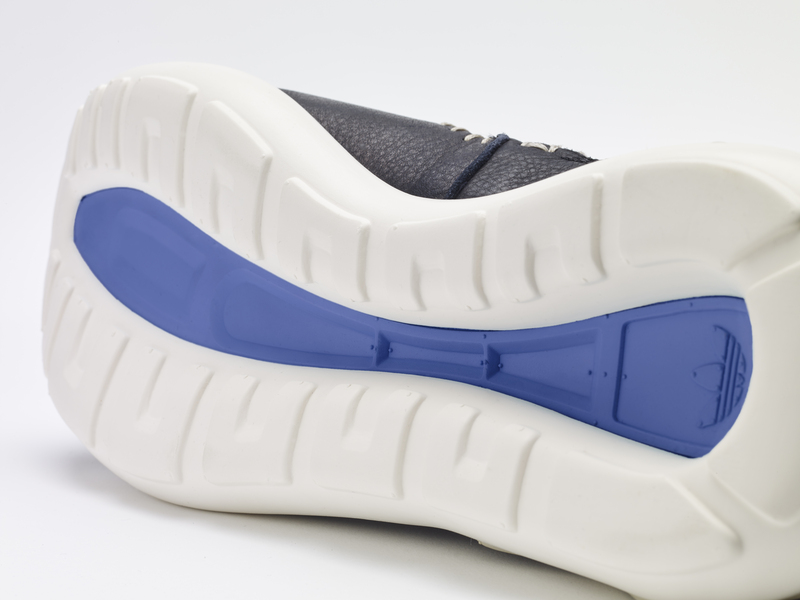 The collaboration also features a frozen lake print on the insoles, finished off by a hit of lake blue in the outsole. 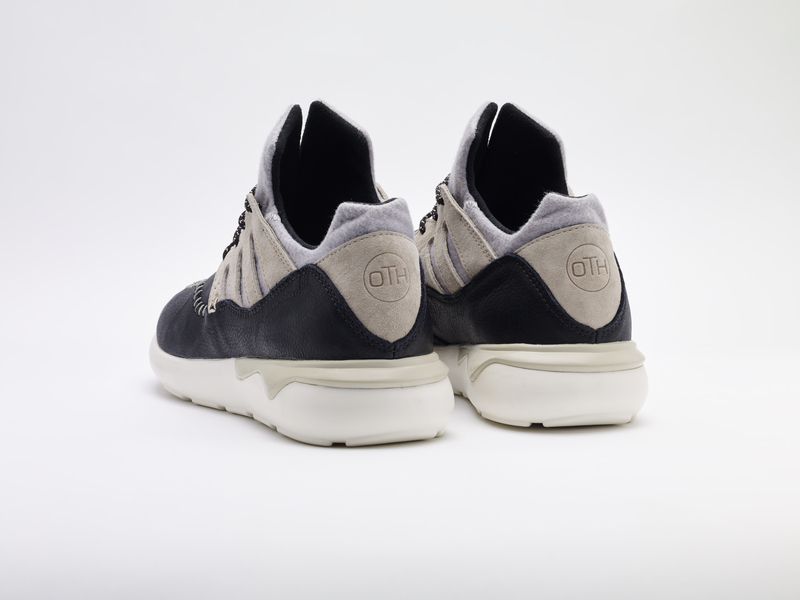 Fans of the Tubular silhouette everywhere will have a chance to acquire a pair when they release later this month. 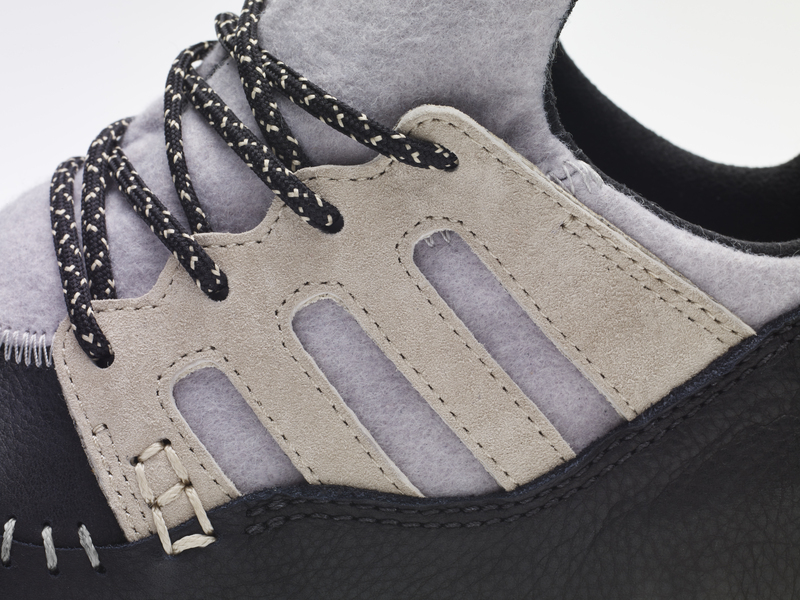 In the meantime, browse through some detailed photos of this beautiful piece. 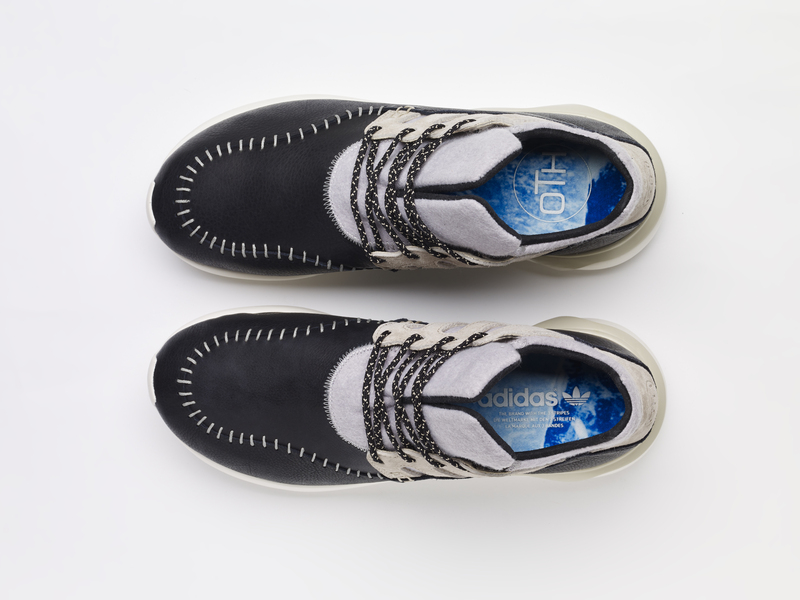 The adidas Consortium x OTH Tubular Moc Runner ($165CAD+tax) hits the ground running on April 17th at OFF THE HOOK boutique and at No74 Berlin, No42 Paris as well as selected Consortium retailers worldwide as of April 25th.